There are a lot of things to remember and reflect upon during the anniversary of September 11. And plenty of people will be telling their stories of grief, rage, human kindness and patriotism. So, each year, Lester & Charlie like to remember someone who might get overlooked: Leo Cullum. 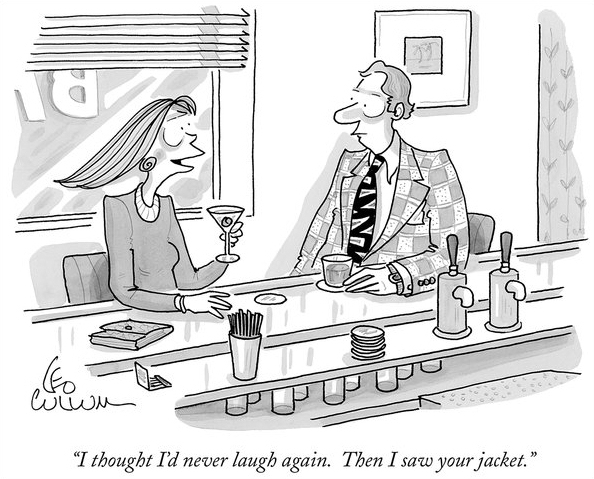 Leo Cullum, who died in 2010, was a TWA pilot and a cartoonist for The New Yorker. And Leo turned out to be the person who answered the unspoken question that was on everyone’s mind following the attacks: When will be OK to laugh again? This simple cartoon gave New Yorkers a collective sigh of relief when they really, really needed it. It reminded us that laughter makes us stronger, not weaker. And that we, as Americans and New Yorkers, weren’t going to let anybody take that away from us.